Little girls love jewelry or any trinkets that make them look just like mom – something Claudia Montez knows all too well. 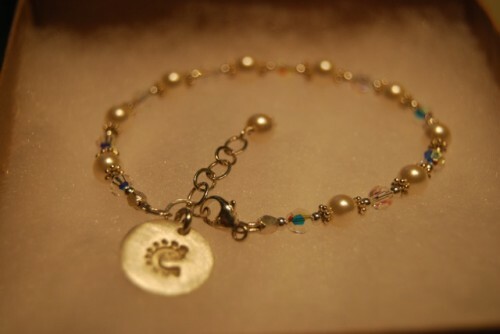 While mostly specializing in jewelry for women, the mom to 2 has created a beautiful bracelet for little girls called ‘Baby Love’. Handcrafted using Bali sterling silver beads, Swarovski Crystals and Faux Pearls with extender chain, this delicate bracelet is both timeless and exquisite. 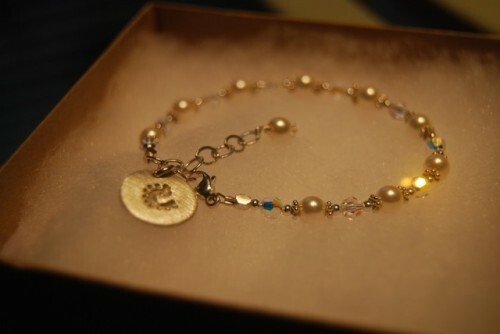 When mine arrived I was excited to see the detail that went into such a tiny bracelet. Measuring only 5″ in length (9-18months), this wristlet is perfect. Perfect to give as a new arrival, christening or birthday gift, which is my intention. Plus it’s nice to know that I could also have Claudia make a custom one made for my son to match my husband or my niece to match my sister-in-law. The Baby Love collection starts at $32, with the boys ID bracelet going for $72. In addition Claudia’s collection for moms is getting rave reviews from celebrities. Isabelle Grace Jewelry has been worn by moms Katherine Heigel, Tori Spelling, Nicole Sullivan, Alison Sweeney, and Maxine Bahns.